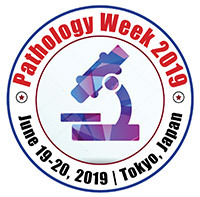 All the experts in the arena of Pathology are welcomed to attend the CME accredited 19th Edition on World Pathology Week (Pathology Week-2019), going to be held at Tokyo, Japan during Aug 22-23, 2019. The Theme of the conference is; Pathology: Path to future of Pathology. The Pathology Conference 2019 brings together the pathologists, Doctors, Researchers, Professors, Assistant Professors, Laboratory staff, Scientists & Pathology & Cancer Epidemiology Lecturers from both Industry and academia to discuss the advancements and challenges in the broad sector of Pathology but not limited to Molecular Pathology, Gynaecological pathology, Hematopathology, Cytopathology, Immunopathology, Histopathology, Pathology Imaging, Clinical Pathology, Breast Pathology, Cancer Pathology, Microbial Pathology and Infections, Forensic Pathology, Chemical Pathology and all other allied fields. This Pathology Congress comprise of Plenary talks, Industry Presentations, Panel discussions, Q&A Rounds, Oral presentations, Workshops/Symposiums, Exhibitions, B2B, B2A, and Young Researcher Forums (YRF), Poster Presentations Pathology. We are looking forward to welcome you at the Pathology 2019 Conference in Tokyo! development of academia industrial liaisons. Cancer Drug Resistance is a quarterly published journal committed to the rapid publication of high quality, peer-reviewed, original research. The full text of each article will be available online at www.cdrjournal.com. The journal publishes research articles, reviews, case reports, commentaries and letters on pharmacological aspects of drug resistance and its reversal, including drug design, drug delivery, drug distribution and cellular drug resistance. Molecular mechanisms of drug resistance also cover the cellular pharmacology of drug resistance such as influx and efflux pumps (including the ABC pumps), receptors and their ligands, cellular signaling pathways, drug activation and degradation (including Phase I and II metabolism), drug sequestration, target modification and DNA repair. Drug classes to be covered include DNA targeted drugs and antihormones as well as antibodies and protein kinase inhibitors. Both clinical and experimental aspects of drug resistance in cancer are included. Enterprise Services Outlook is a print magazine which provides a platform to thinkers, practitioners, strategists and visionaries in the Enterprise Services landscape. Our platform is uniquely positioned to let upcoming and promising enterprise services vendors to showcase their innovative services. TRADE SHOW ALERTS is one of the most famous, popular, and preferred trade events directories of the world, that has been serving impressively and remarkably myriads of companies, corporations, and institutions of all over the world which pertained to a rather wide spectrum of diverse sectors for a long time. Trade Show Alerts has been providing comprehensive, reliable, and exclusive information about all types of trade events to be held in the near future, in locations spread all across the globe. For each of these trade events, there is provided highly productive, precise, and sumptuous business information including the Event Profile, elegant information about the Organizer, Exhibitors, Event Venue, Date & Duration of the event, and many more. Through the information provided here, any exhibitor or visitor relating to any sector of economy, and belonging to any country of the world, can very easily, smoothly, and most profitably plan one's participation in any of the trade events of interest, well in advance. For the lavish convenience, these Trade Shows, Trade Fairs, Trade Exhibitions, Expositions, Trade Conference & Seminars, and various other types of Trade Events are divided into various categories based on the Time, Location, Sector, and Event Organizer. Microorganisms (ISSN 2076-2607) is an international, peer-reviewed open access journal which provides an advanced forum for studies related to prokaryotic and eukaryotic microorganisms, viruses and prions. It publishes reviews, research papers and communications. Our aim is to encourage scientists to publish their experimental and theoretical results in as much detail as possible. Microorganisms now in PubMed and PubMed Central (PMC). PharmaVOICE magazine, reaching more than 41,000 BPA-qualified life-sciences executives, is the forum that allows business leaders to engage in a candid dialogue on the challenges and trends impacting the industry. PharmaVOICE provides readers with insightful and thought-provoking commentary in a multiple-perspective format through forums, topics, and articles covering a range of issues from molecule through market. PharmaVOICE subscribers are also kept abreast of the latest trends and information through additional media resources, including WebLinx Interactive WebSeminars, Podcasts, Videocasts, White Papers, E-Surveys and E-Alerts. Additionally, PharmaVOICEMarketplace.com provides a comprehensive directory of products, services, and solutions for the life-sciences industry. 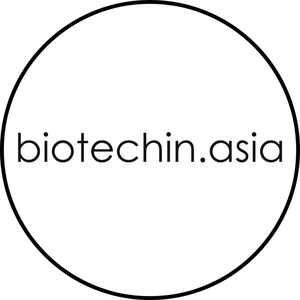 Biotechin.Asia(www.biotechin.asia) is a virtual newsroom that covers recent research/news/insights in the field of biotechnology and healthcare from across the world. We offer simplified, curated, fact-based news for all stakeholders in the biotech and healthcare ecosystem. Our prime focus has been featuring biotech and healthcare startups from Asia and across the world. We aim to become the social glue of the biotech community - a one-stop solution for anyone who is looking for information related to Biotech academia, industry and startups. The Journal of Medicines Development Sciences focuses on the discovery and development of new medicinal products. The journal publishes original research articles on medicinal chemistry, experimental pharmacology including pharmacokinetics, preclinical safety, clinical pharmacology, pharmacogenomics, clinical research, pharmacoepidemiology and pharmacoeconomics. The journal publishes also brief reports on new research findings and review articles. Articles encouraging taking the therapy from bench to bedside and creating a broad readership of young researchers, clinicians and scientists are welcome. The journal of ‘Applied Environmental Biotechnology (AEB)’ provides a forum in the broad research field of biotechnology in terms of advances, innovation and technologies made at molecular, process, community or ecosystem levels. It will emphasize on the basic biochemistry, molecular processes and molecular biology where the molecules and genes remain the central core of analysis. Applications of theories and novel technologies to a detailed and specific experimental studies and new methods are also entertained. Review articles on an identified topic can be considered for submission and publication after approval by the Editor-in-Chief. Pain Medicine 2016 will be organized around the theme “Pain assessment and its management for improvement of the quality of life”. Pain Medicine 2016 is comprised of 14 tracks and 72 sessions that aims to provide a forum for researchers from various areas of Life sciences, Chemistry, Pharmacy, and allied groups by providing a platform to share latest cutting-edge research finding, advances in various branches of Medicinal science. The Società Chimica Italiana, founded in 1909 and recognized as a legal institution with R.D. n. 480/1926, it is a scientific association that has over three thousand subscribers. Members carry out their activities in universities and research institutions, schools, industries, public and private research laboratories and control, in private practice. They are united not only by an interest in the science of chemistry, the desire to contribute to the cultural and economic growth of the national community, improving the quality of human life and protect the environment. foster and promote scientific research in all fields of chemistry; disseminate knowledge of chemistry and the importance of its applications in the context of progress and well-being of humanity; promote and encourage the study of Chemistry in the University and in all the schools of each order and degree; promote development in all fields of Science. BioMed Central is an STM (Science, Technology and Medicine) publisher of 276 peer-reviewed open access journals. The portfolio of journals spans all areas of biology, biomedicine and medicine and includes pharmacology and pharmacy titles such as, DARU Journal of Pharmaceutical Sciences. All original research articles published by BioMed Central are made freely accessible online immediately upon publication. Authors publishing with BioMed Central retain the copyright to their work, licensing it under the Creative Commons Attribution License which allows articles to be re-used and re-distributed without restriction, as long as the original work is correctly cited. Leading website for lab equipments, reagents, consumables and bio services Established since 1998, Bio-Equip is a leading website for lab equipments, reagents, consumables and bio services. Our users come from different fields like life science, medical research, pharmaceutical, biotechnology, modern agriculture, food safety and environment monitoring. Bio-Equip offer users a complete product directory which involves 158 product ranges among lab equipments, reagents, consumables, lab animals, bio services, cell lines, bio software and books. Serving users through two websites, www.bio-equip.com (Chinese) and www.bio-equip.cn (English), we own over 20,000 registered suppliers and more than 500,000 pieces of product and technical service information with details of product description, price, sample downloading, technical articles and videos. The resourceful online information accelerate product & service searching process, offer convenience to users from research institutions, universities, hospitals, centers for disease control, pharmaceutical factories, inspection and quarantine bureau as well as forensic centers. Generally, Bio-Equip promote the development of bioresearch and bio-industry! Welcome to visit Bio-Equip and cooperate with us for a brilliant future! The British Society of Toxicological Pathology is a non-profit-making organisation and a registered charity. The aim of the society is to advance pathology for the public benefit in all its aspects pertaining to the effects of extraneous substances and environmental agents to which man or other species are exposed through design or adventitiously and to foster training and advance education in toxicological pathology by providing CPD seminars and educational training symposiums as a way of ensuring the continuing competence of toxicological pathologists for the benefit of the public. DoctorKSA, the winner of the Pan-Arab strategic health portal award is a network for the health professionals. It provides Recruitment service for medical and nursing jobs, advertisement & management of medical events and market research for pharmaceutical companies. DoctorKSA has a huge membership base and it is rapidly approaching the target of becoming the leading website for the health professionals in Saudi Arabia. The Australasian Gene and Cell Therapy Society (AGCTS), formally the Australasian Gene Therapy Society (AGTS), aims to facilitate the growth and development of the field of gene and cellular therapy in Australasia. The Society also aims to represent the goals of the Australasian gene and cell therapy community before government and the public. In addition, the AGCTS endeavors to disseminate information regarding the safe and ethical use of gene and cellular therapies, act as a resource of protocols, reagents and scientific exchanges, and contribute to the education and development of the next generation of scientists. Biomat.net is aimed at linking the Biomaterials and Tissue Engineering community worldwide. This site provides updated news in the field, delivered through a monthly newsletter, and also a collection of selected internet links related to Biomaterials Science and Tissue Engineering, as well as relevant links to biomedical engineering, biology, medicine and health sciences in general. Biomat.net facilities additionally include a glossary of related terms, a discussion forum, a job exchange section, and the Directory of members, where research expertise can be searched. Membership to Biomat.net is free, and members can browse all of Biomat.net without charge. Since 2002, Biomat.net was selected for Current Web Contents, from the Institute for Scientific Information (ISI).